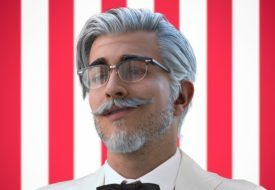 Starting today until 9 August, your favourite fried chicken joint KFC introduces three new food items with the increasing buzz of the National Day’s festivities. Leading the delicious lineup is the Goldspice Chicken, a spicy, salted egg-covered fried chicken. The fried delight pay tributes to Singaporeans’ love for salted egg, curry, chilli and fried chicken. The new Goldspice Chicken mirrors the makeup of KFC’s signature Hot and Crispy variant, with the added twist of salted egg seasoning, chilli, curry leaves and basil powder. 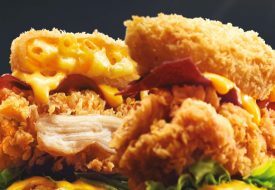 Thankfully, the fried chicken is described to display a strong salted egg flavour, so ardent salted egg fans would be pleased. 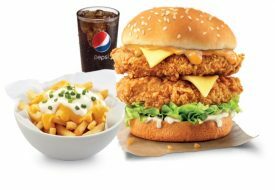 The Goldspice Chicken starts from $8.55 for a two-piece meal. To complete one’s National Day indulgence, the fast food outlet satisfies sweet cravings with the new Chocolate Fries and Chocolate Hazelnut Egg Tart. While the chocolate egg tart hits the sweet spot with a dollop of chocolatey goodness in its eggy custard, the Chocolate Fries certainly quells hankerings of sweet, savoury and indulgence in its simple, yet brilliant mashup. 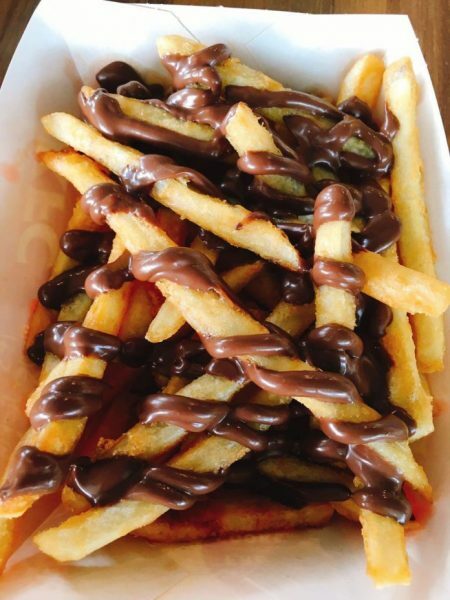 Do note that the Chocolate Fries item is available in selected KFC outlets, including Jurong Point, Lot 1 Shoppers Mall, Causeway Point, Sun Plaza 2, Compass One, Waterway Point, Tampines CPF Building, Kallang Stadium, and Tampines Hub.